Includes 4″ x 6″ Photo of Doug Holding the signed toy! Pinhead Action Figure, in retro Kenner style! 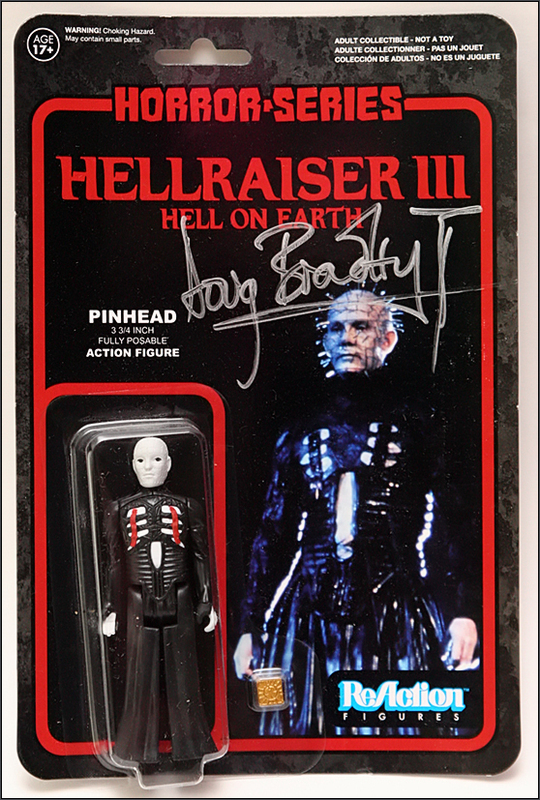 Poseable 3 3/4-inch ReAction figure from Hellraiser! Includes a puzzle box accessory! 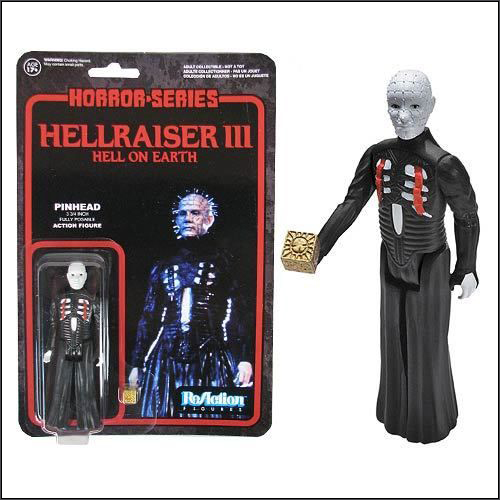 Get your very own retro action figure from Hellraiser! 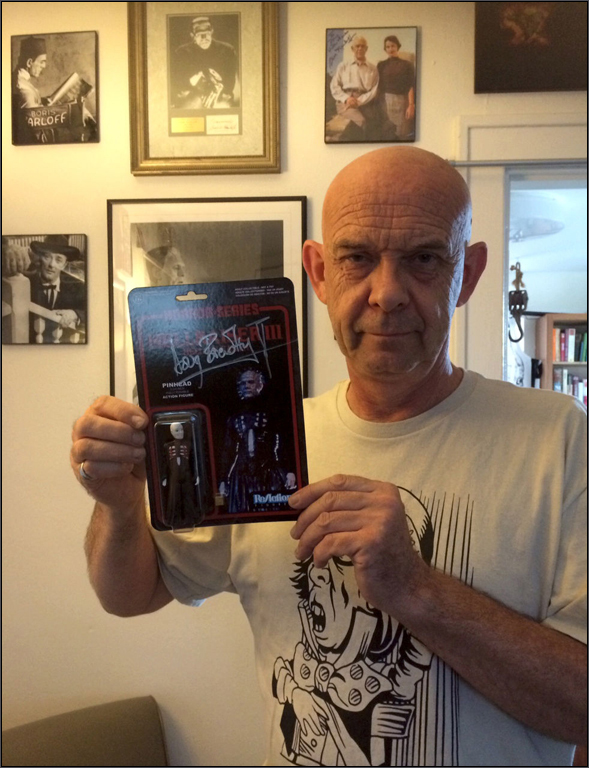 This Hellraiser Pinhead ReAction Retro Action Figure features the prickly Cenobite portrayed by actor Doug Bradley. Measuring 3 3/4-inches tall, this fantastic articulated ReAction figure from Super7 and Funko comes with a puzzle box accessory. It has a look and style that harkens back to classic action figures made by companies like Kenner.